I thought the cloche (bell shaped glass cover) might be a passing fad but come 2016 this trend is still going strong. Originally a piece of scientific equipment the bell jar was adopted by the Victorians to showcase and protect special items. For the Christmas collector this is the perfect way to spotlight your treasures. The glass dome adds a bit of theatre to any table setting and filled with lights the effect is magical adding drama and illumination. Remember only showcase the very best of your collection, vintage baubles and glass finials look amazing displayed like this but plastic baubles, not so much! 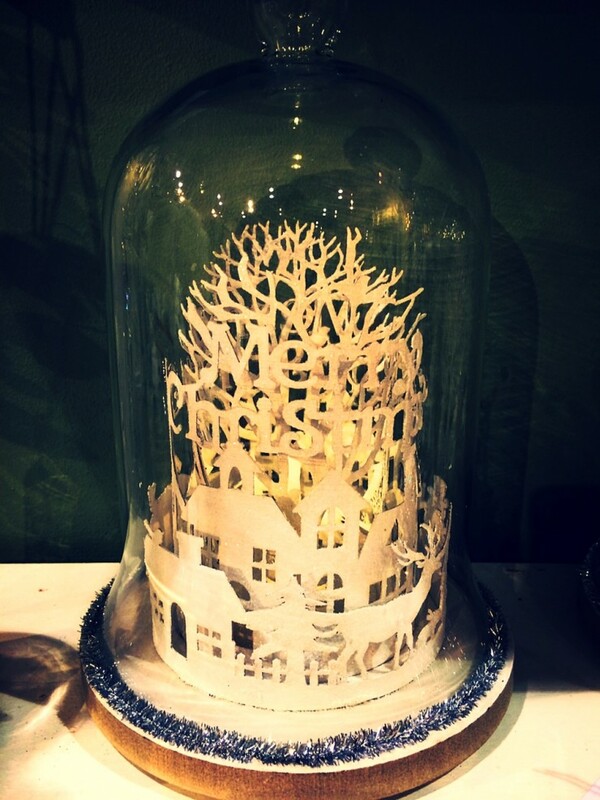 Have fun, under the cloche you can create a charming winter wonderland scene, all in miniature (an up and coming trend- more of this later). Even better this is an easy look to achieve and wont break the bank. Miss Haberdash Hint: use battery operated LED copper lights to achieve that amazing sparkle.